Softbank has been officially set to acquire a majority share of Sprint since October, and the $20 billion deal keeps inching closer and closer to completion, but a new report says that Softbank has a backup plan in case the purchase doesn't get approval. Apparently, the fallback plan for Softbank is to follow in AT&T's footsteps and try to purchase T-Mobile. 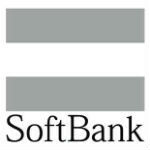 A report from Reuters says that Softbank is already in talks with Deutsche Telekom to purchase T-Mobile U.S. The two companies have been in discussions over T-Mobile since last year, but talks have gained steam since Dish entered the race to purchase Sprint. Dish outbid Softbank for Sprint, offering a deal worth $25.5 billion. Softbank's primary focus is still to close the deal for Sprint, but if that does fall through, it will push more aggressively for T-Mobile U.S., which is said to be valued at $15 billion. And, just to make things even more complicated, if Softbank does abandon its bid for Sprint, it could gain $5 billion from currency hedging gains, previously purchased Sprint shares, and breakup fees. T mobile is far behind. It would either be a mistake or cost a lot of money and years until they see green. Sprints network is horrible compared to tmobile. I live in CA which just about every carrier has the most support than most of the country. T Mobile is the worst here. Not for data speeds, it is for reliability in general. Even some low end pre paid companies are better. T Mobile is a joke. Dropped calls. Ive used every one of the big 4 carriers and its much further behind. I live in LA and I can honestly say that Sprint's reception is the worst it's so bad you can't even get 3g inside your damn house or in buildings, so how can you say that T mobile is worser than Sprint when I've been all over LA, San Diego, Las Vegas, El Paso, San Francisco and Phoenix and T mobile gets better reception and data speeds then when I had Sprint. Worser is not a word. Sprint's network is much larger than T-Mobile's. Sprint has a much bigger coverage area but much like AT&T, it had it's issues with data speeds when the iPhone was released but it has quickly been upgrading 3G and 4G LTE and the new network is very fast and much more robust then TMO. Once upgraded with Nextel's reframed 800mhz and Clearwire's huge 2.5ghz spectrum assets, Sprint will have one of the largest and fastest networks in the US. The Sprint markets that have already been upgraded to LTE run much faster than TMO, not to mention they provide much better coverage beyond city limits, unlike TMO where you suddenly find yourself on EDGE 2G speeds. * Shatter you cannot necessarily say that sprint is worse than Tmobile, Every company has it bad spots, like in some areas in Florida Verizon has bad spots and sprint is #1 and just like in new york where Tmobile is just bad, and I have zero issues with sprint in NY. But I am currently in a military installation in Mississippi and Sprint is bad in many areas, only Verizon has the best coverage here.. The best thing for Sprint would be to take the Softbank deal and forget about Dish. While Dish is offering more to buy the whole company (25 billion for 100% of Sprint), the Softbank deal is superior in the fact that they are offering to buy 70% of Sprint (20 billion for 70%) plus they are also going to infuse sprint with another 8 billion to pay down their debt (that they have had since their purchase of Nextel) and sure up their network infrastructure. So the numbers are: The Dish offer is 25 billion for 100% of Sprint or 28 billion for 70% of Sprint. Which would you choose...... If Dish wants to be a carrier so bad then they should go after T-Mo and leave Sprint/Softbank alone. I would love to see a t-Mobile with good coverage and expansion in NC/SC. Their service is horrible and who want edge/gprs these days!!! It would make me happier than a better sprint!